Oh I am IN LOVE with this week's block and colors! This week we're talking about the second set of tints/tones/shades - TONES. 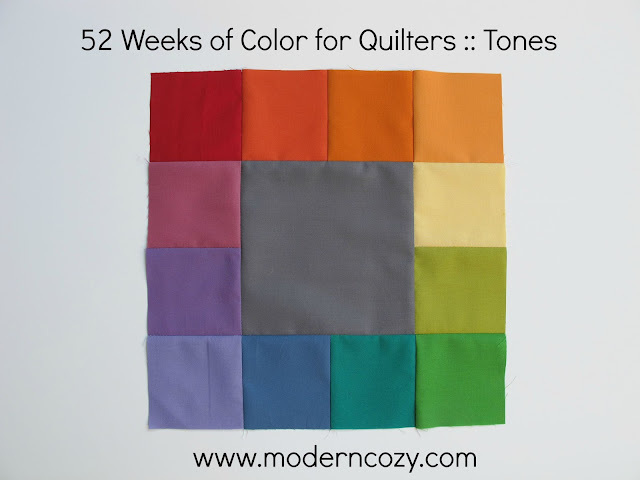 This set of colors is a little more sophisticated, a little more subtle. I used the same measurements from last week to make this block. Quite simply TONES are any color mixed with GREY. 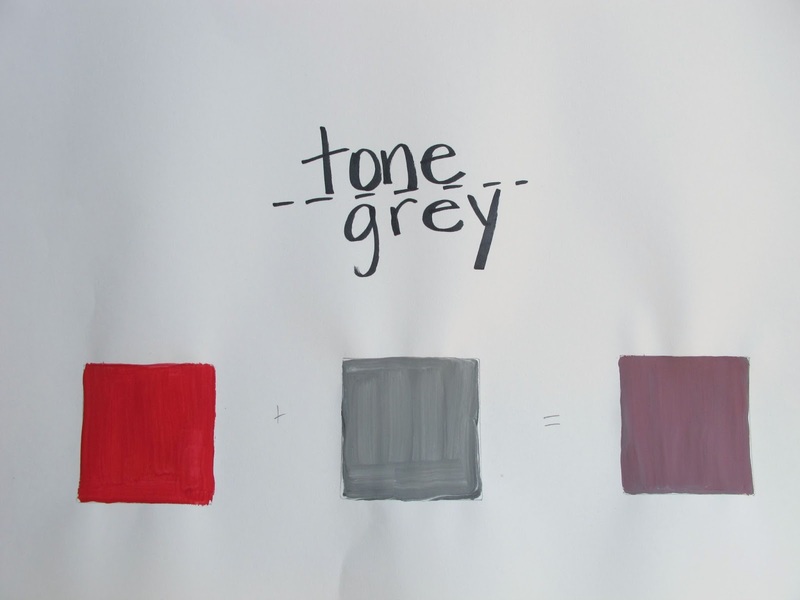 Of course you have a huge range of greys to work with so tones can be lighter or darker depending on the proportion of black and white used. Tones aren't nearly as bright as the tints of last week or the pure colors we used when looking at the Primary, Secondary and Tertiary Colors. This photo shows the TONES on the bottom and the PURE COLORS on top so you can see the difference. The way I chose the colors for this project was to lay Kona color chips (from my cut up Kona color card) right next to the color (or tint or tone or shade) on the color wheel. This week's TONES next to last week's TINTS. Up next week - shades!